Adolph “Sailor” Malan was one of the great names of the Battle of Britain. As flight commander and later commanding officer of No. 74 (Tiger)Squadron, he lead his unit to became one of RAF’s best. Although he wasn’t an instinctive, gifted pilot Malan was an exceptional shot and a very aggressive air fighter, and above all a superb tactician. He instilled the methods and techniques he had honed in 1940 into successive generations of young fighter pilots who followed him. 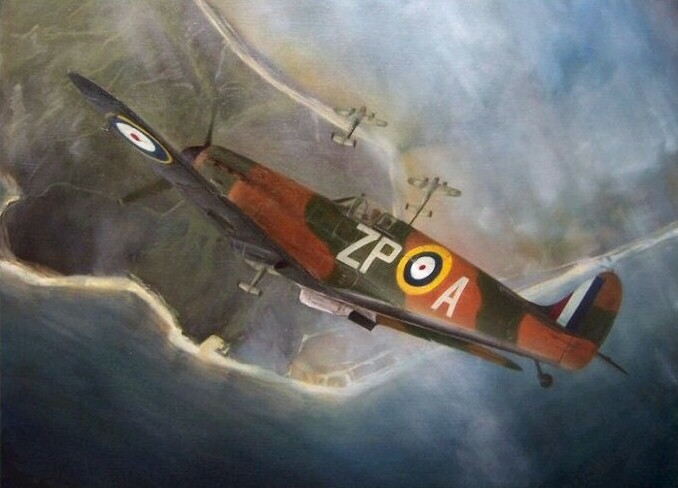 This artwork entitled “Tiger’s Strike” shows the Sailor in his Supermarine Spitfire Mk.I, ZP-A on 13th October 1940. On that day, Malan increased his score by two Dorniers Do 17 shot down over Dover.